Please join us on Thursday, November 1st, 2018 from 6-10pm at Carmen's Banquet Centre in Hamilton to celebrate 10 years of helping young girls in our community become strong women! 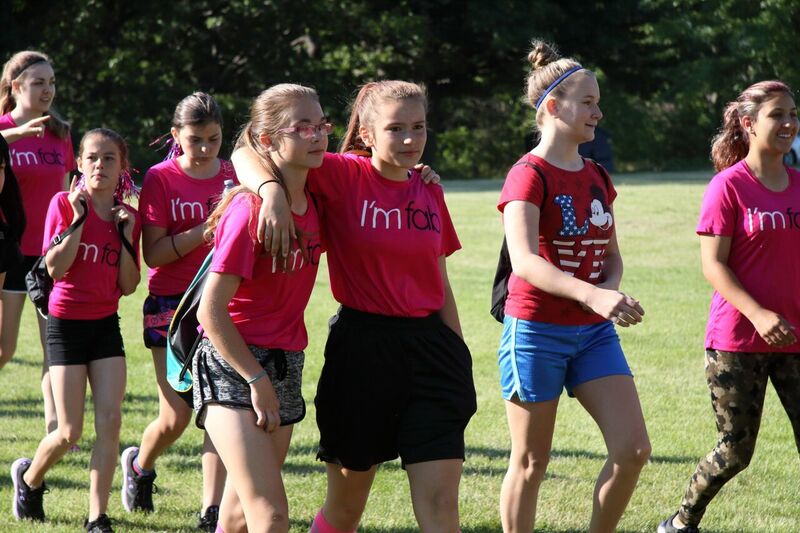 Over the past decade FAB has served 1000 girls in the Hamilton area. Together with your help FAB has increased the self-confidence in young girls and built stronger communities, one young girl at a time. Join us in celebrating this success and in moving towards 10 more years of FAB girls. Joining us as a speaker with her own inspiring journey will be Canadian Ironman Champion Lisa Bentley. In 1988, Lisa was diagnosed with cystic fibrosis. Despite this, she raced as a professional triathlete for 20 years, and has won 11 Ironman competitions, as well as many other titles. Lisa will share her story of resilience and triumph with you at this event. With your registration you are able to purchase Lisa’s book, "An Unlikely Champion" at a special discounted rate for this event. Lisa will be signing copies of her book throughout the evening. To learn more about Lisa, please click here: https://www.lisabentley.com/about/. Did you know…that a portion of the FABulous items we auction off are donated? If you are looking for additional ways to become involved, please considering donating an item that we can auction off. Please contact Sarah Silva at sarah@iamfab.ca if you are interested in donating an auction item. Tickets purchased before October 1st, 2018 will be eligible for an Early Bird draw prize! Tickets are limited…purchase yours today! Purchase a table of 10 and one ticket is free!